Power on the go. We’ve all had that situation when we’re out somewhere and there isn’t a power source for the things we need. 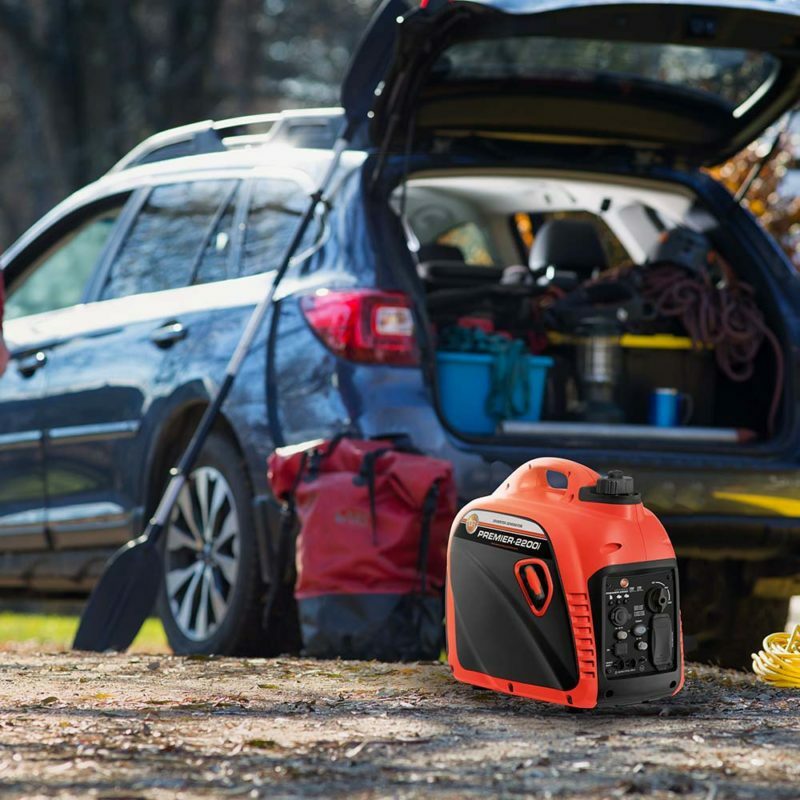 Whether it’s camping, tailgating or even on a construction site an inverter generator is the perfect option to get your necessary items powered up. 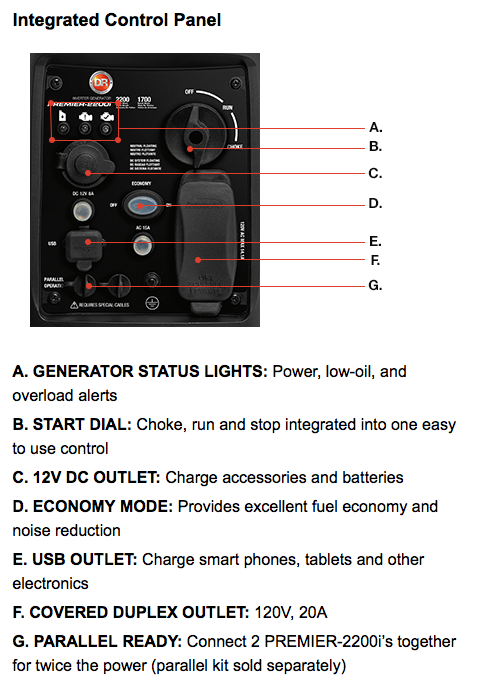 Inverter generators are great for on the go because they are compact and produce clean, reliable power. You can even plug in your sensitive electronics. They are also quiet, making them a great option for noise-sensitive environments. As with any generator, they still need to be run in an outside open area as they do produce carbon monoxide. Not sure what size inverter would be right for you? Before choosing a model, it’s best to calculate how much power you need. You can easily do that here. 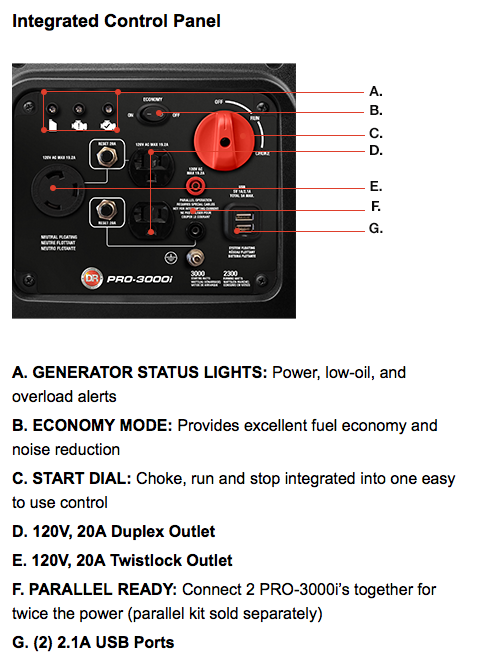 DR Power offers three great options for inverter generators. The Premier-2200i, the PRO-300i, and the PRO-3500iO. 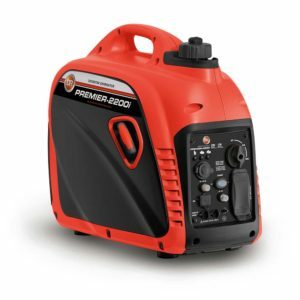 The Premier-2200i is a 2200-watt inverter that is light and easy to grab and go. 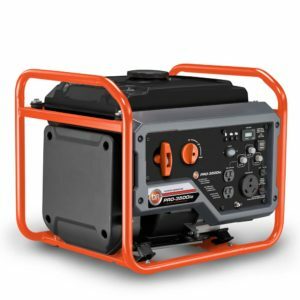 This inverter is perfect for camping, tailgating,even backyard get-togethers. One of the best features of this model is how quiet it is! The enclosed design keeps the noise levels down. It weighs under 47 pounds and has a run time of about 5 hours on a 50% load. With its clean stable power, you can safely plug in your cell phone to have communication even when you’re “roughing it”. 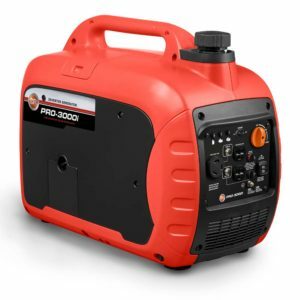 The PRO-3000i is a 3000-watt inverter that features Surge Starting TM technology for over 50% extra starting capacity that allows you start it up and run additional devices. This one is a good option for recreation or lights loads on the work site. 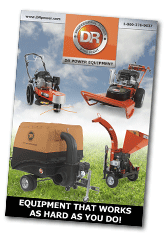 Not only is it powerful but it’s quiet with its enclosed design compared to open frame generators. The PRO-3000i weighs just under 60 pounds with a run time of about 4.5 hours with a 50% load. The PRO-3500iO a 3500-watt inverter that features Surge Starting TM technology for over 50% extra starting capacity that allows you start it up and run additional devices. This inverter is 50% quieter than a conventional open-frame generator. 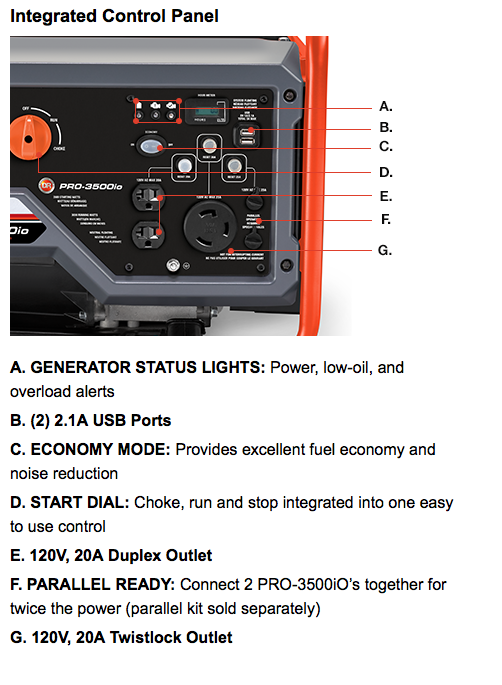 The PRO-3500iO is perfect for recreational or light construction job sites. It weighs about 74 pounds and has a run time of up to 8 hours on a 50% load.